HyperX has today released two new products that both revolve around flash memory but cater to different audiences (or at least use cases). At the forefront is an SSD that we first saw announced by the company earlier this year, and yes, it’s an SSD that has RGBs on tap (as if the photo below couldn’t give that away immediately). Love it or hate it, RGB is an easy way to spice up a rig, and when there are components without the special lighting, that means there’s room for more. Hence, this new FURY RGB SSD will allow those with preexisting RGB setups to add more of the same color to their rig in a new corner of the chassis. This RGB SSD solution requires a platform that supports RGB effects, like ASUS’ Aura Sync, GIGABYTE’s RGB Fusion, MSI’s Mystic Light Sync, and so on. 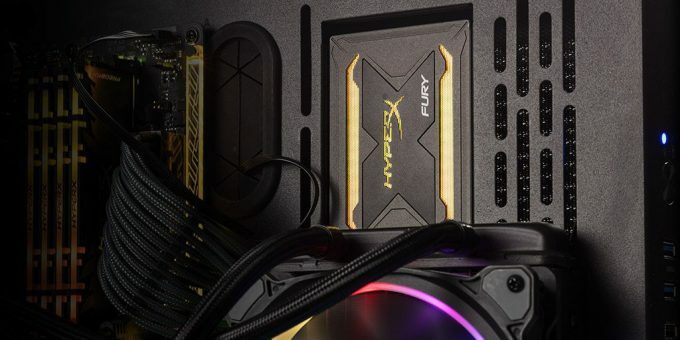 Once plugged in, the FURY RGB SSD will inherit the color scheme from the rest of the system, though in some cases, you may be able to adjust it on a per-device basis, depending on the solution you’re using. As for the actual specs, the FURY RGB SSD is pretty standard fare for a SATA drive, boating speeds of 550MB/s read and 480MB/s write. Equipped with 3D TLC NAND, these drives are available in densities between 240GB and 960GB, and all SKUs include a three-year warranty. The other flash product released today is the Savage Exo, a portable SSD that’s designed to deliver internal-like speeds, externally. This drive is spec’d similarly to the FURY RGB, delivering 480MB/s write, and 500MB/s read. This drive isn’t available in the 240GB density, but instead can be found at either 480GB or 960GB. 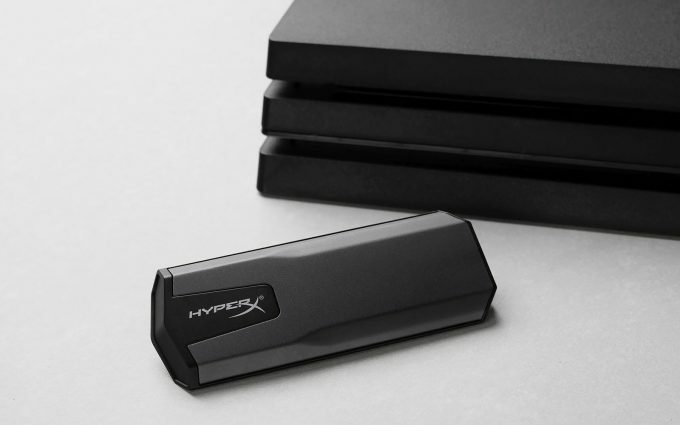 The Savage Exo could be used for a variety of purposes, but one use case HyperX highlights is plugging it into a console to take advantage of storing your games. The Xbox and PS4 are both officially supported, and based on our testing in the past with that, big gains can in fact be seen. I couldn’t imagine using a regular hard disk for any OS nowadays, either for PC or console. 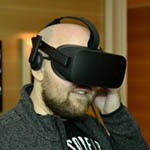 Of course, if you’re a devout console gamer who can’t survive on less than 1TB, the cost-of-entry is a definite barrier. On the topic of pricing, HyperX hasn’t revealed it for either of these two products, so if you’re interested in either, keep checking your favorite etailer.